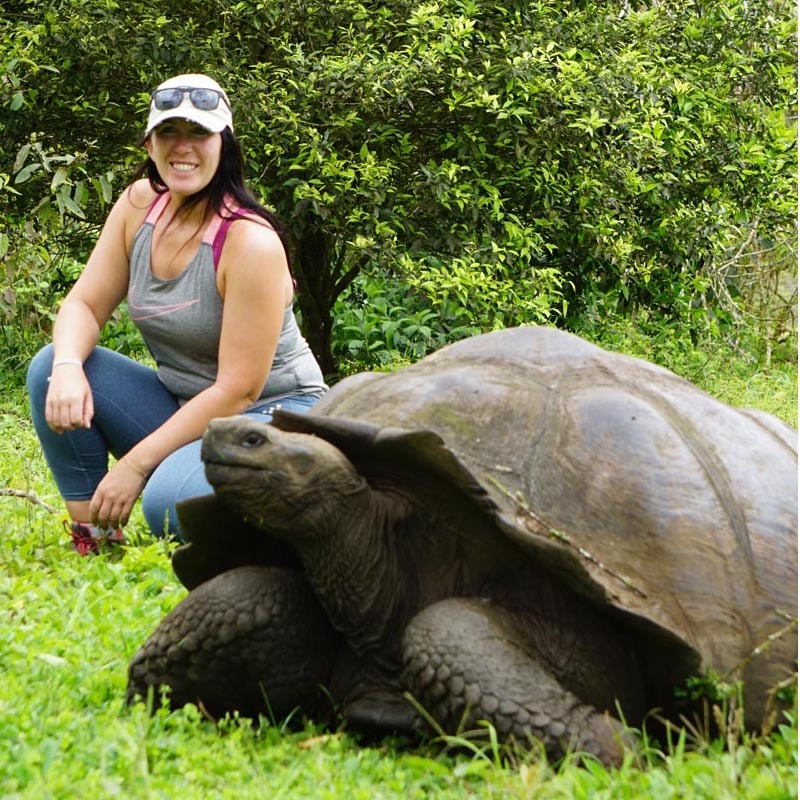 The Galapagos islands in the Pacific Ocean are considered one of the best places for wildlife-viewing in the world due to it’s protected status as a National Park, World Hermitage Site, and marine preserve. It’s isolated and extreme environments shelter a diversity of endemic plants and animals species. 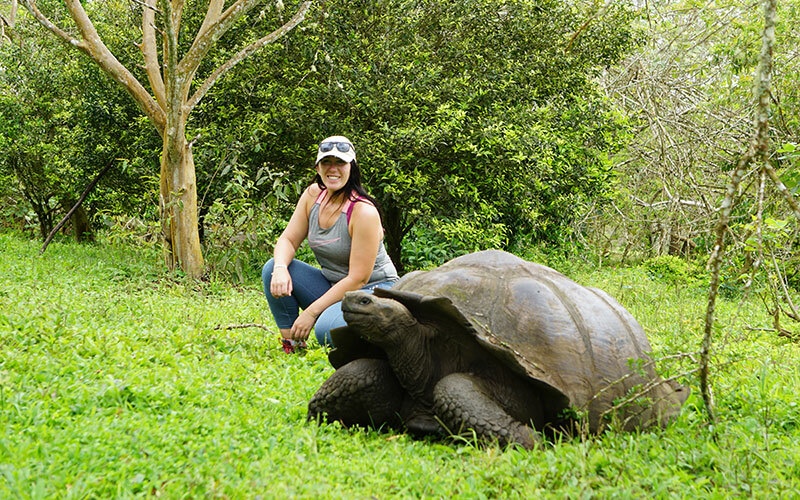 With no natural land predators, many of these animals are unafraid and not concerned of visitors to the islands. As you walk past sunning sea lions, and iguanas resting in the shade of cacti, you will wonder if you might be invisible because you will get little to no reaction from them. The truth is, they have no reason to fear you. Snorkeling with the marine life is no different. Green Sea turtles, white tipped sharks, and schools of reef fish completely ignore divers. 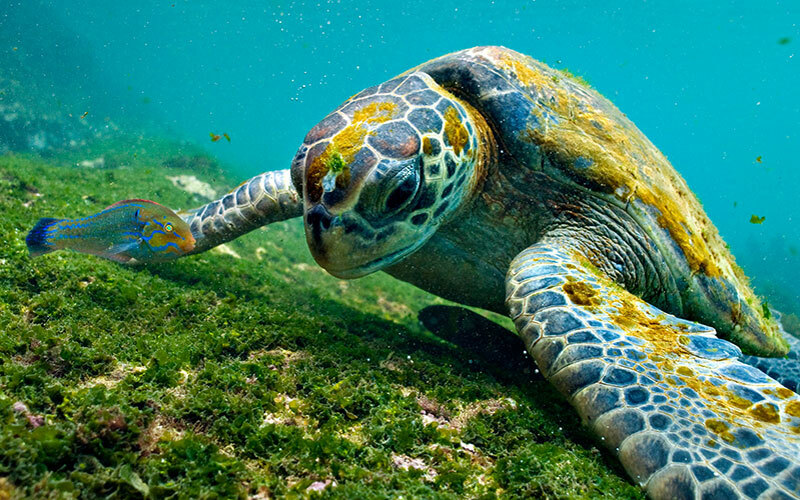 You can hover in 3 ft of crystal clear water as a sea turtle munches on marine grasses. The water is cool (about 68 degrees) but the experiences are easy. You can see so much life while floating in shallow water, or while looking in nooks and crannies of rocky reefs. 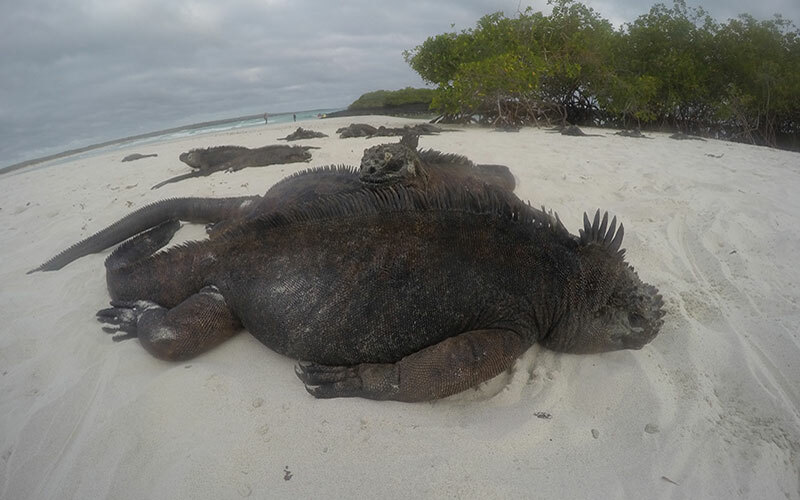 In tidal pools and mangroves it is common to see octopuses and even marine iguanas swimming. Due to no natural land predators, wildlife are approachable and unafraid of visitors. It’s status as a World Heritage Site and marine preserve allow visitors to get a glimpse of a pristine environment protected and valued for it’s scientific, environmental, and cultural significance. 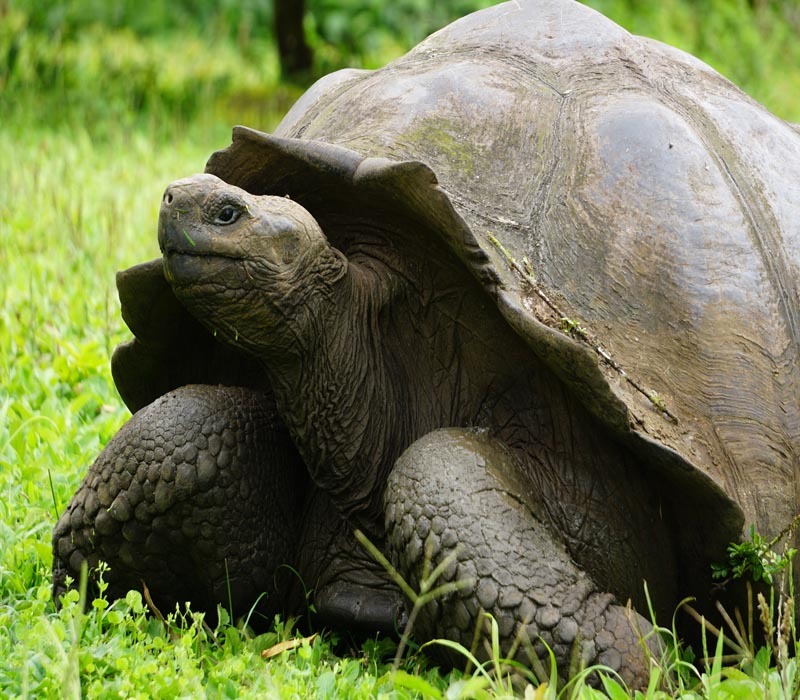 See Giant Tortoises in their natural environment. Snorkel with amazing animals like sea turtles, reef fish, white tipped sharks, manta rays, and possibly penguins. 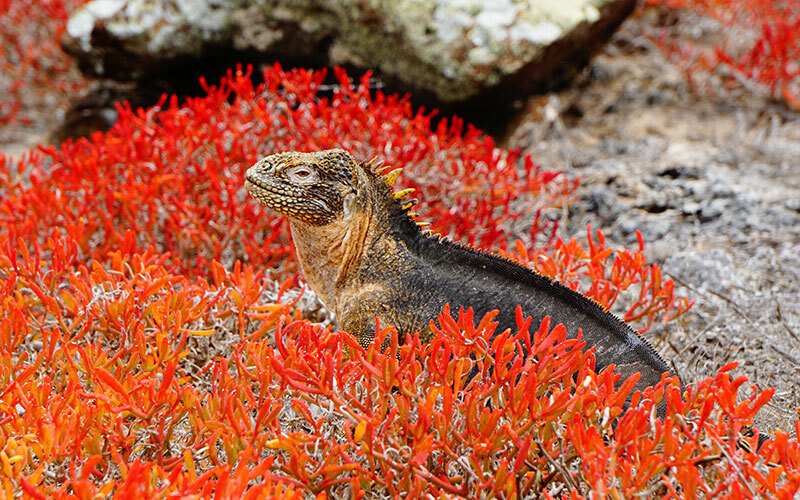 Home to many other endemic species like Darwin’s Finches, Marine Iguanas, Flightless Cormorants, Blue-Footed Boobies, and the Galapagos Fur Seal. Each of it’s 19 islands has a different geological story, unique habitats, and animals species.